Whoa when did this happen? 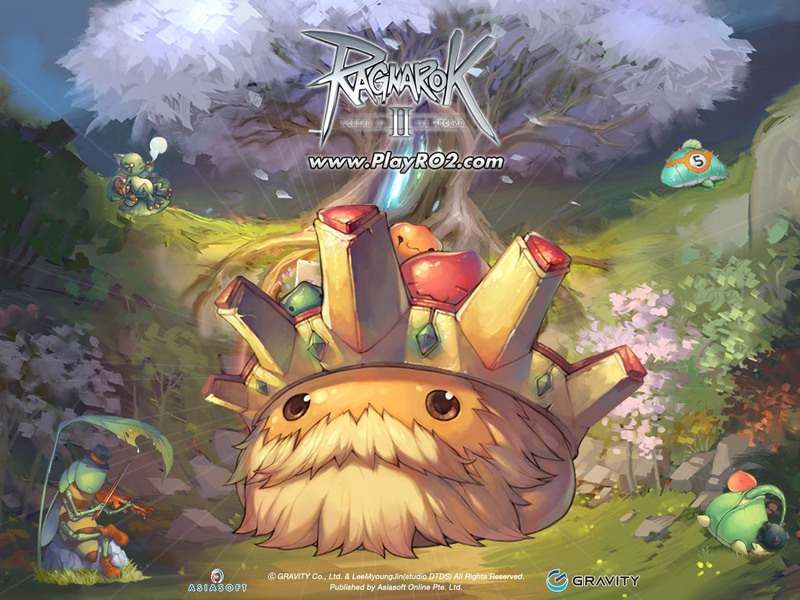 In a move that many in the west were not expecting, Asiasoft Online announced the open beta date for the first English language version of the widely anticipated sequel to everyone’s childhood MMORPG, Ragnarok Online. The sequel which fittingly bears the title of Ragnarok Online 2, has been available in the East since March of this year, but there had been no news of a western publisher for the MMORPG. That is until Asiasoft Online (which is based out of Singapore), announced they would be publishing the game worldwide for English audiences. The open beta is set for December 27th and will mark the official release of the English version of RO2, but with no word yet as to whether or not the English version will actually have servers based in English speaking areas (notably NA/EU). Fortunately the game will not have any IP restrictions, so players will be able to play the game regardless of the servers location. Unlike the original Ragnorok Online, RO2 will not be P2P nor will there be a P2P option. Instead the game will follow the traditional F2P model supported by an in-game cash shop. The original English version of Ragnarok Online was released back in 2003 and quickly garnered a cult following. The MMORPG was famously known to have more players playing on unofficial private servers then on the actual official P2P servers themselves, essentially making the game “Free-to-Play” before it was actually Free-to-Play. More details can be found on the official site here. Where you a fan of the original Ragnarok Online? Will you be giving RO2 a try? Let us know! We are happy to announce that OBT will start tomorrow, 3rd January 2013, at 1300 HRS (+8 GMT)! That is less than 19 hours from now! However, it’s with our deepest apologies that we announce we will not be able to provide the RO2 game service to players outside of our optimised countries – Malaysia, Singapore, Thailand and Vietnam – due to our licence agreement with the game’s developer, Gravity Co., Ltd. These aforementioned licence terms will take full effect from the start of OBT tomorrow and we deeply apologise for any inconvenience caused to players. We are extremely grateful for the support you have shown RO2 so far and we thank you again for being a part of this journey. Thank you all! I can’t even open the website.. It keeps saying error and i’ve reloaded it quite a few times soo this is one step for becoming a FAIL-GAME when u can’t even access the website..
Nah its IP Blocked as i’m able to access the forums.playpark.net only via proxy. Looks like NA was IP-Blocked….. Ignore the people who played this game in private servers way way back in the past bcuz they have no idea the game has changed completely and its clearly not the same game they experience. I’ve checked this out already and it still has that RO1 experience I’ve always had, so definitely looking forward to this. ooooooh XD Can’t wait for this! only just 2 more days to open beta. Someone having trouble or long with the patch ? Fevalt when you say you played it on a private server are you talking about legend of the second or the gate of the world which was the cancaled version of the game that has private servers of it up. Played the game on the first of course non-English private server already. RO2 is really not worth the time. Especially if you liked the 1st Ragnarok. They took out everything that made RO special and transcended it onto a generic MMORPG that is overflowing the net already. lol, and I thought it wasn’t available as global yet. so I posted as foreign friday suggestion. As much as i loved the first RO, this looks like a lazy way to milk money off fans. “Lets take the generic mmorpg and slap a famous title on it”. Seriously other than having “ragnarok” at the name, its basically the same point-click-spamyourhotbar game as the rest. I was expecting more from ragnarok 2 but oh well. Though after all is said and done, i’ll probably still try the game. This is a surprise to me. I’ve been waiting for this. i thought it’s thai company. never know that the owner is singaporean. well that doesnt matter. announcing a global server instead on regional server. this is a bold move i hope they put it off. but now maybe u guys will be much more forgiving to lagger cuz u guys gonna experience 1st hand what it’s like when asian/oceanic ppl go play on NA/EU server. That’s Gate of the New World, we’re here talking about Legend of the Second. I have to give this a try even if they killed the original for me with all the newer stuff they added. I hope it lives up to expectations on my end. SEA and MAlaysia so far and English (like all Malaysiq games) and no IP ban. Your DL should not be that bad, I have installed several games including Perfect world and Dragon nest in these regions. The worst is probably going to be the grind. BUt we never know unti first looks come out. Save us the time and torture. Wow my prayers have been answered i cant belive it. I’m shocked it took them this long to come up with something so utterly devoid of originality. It’s basically every other f2p MMO out there but with clunky controls and a terrible camera. Way too many good free or cheap games out these days for them to consider this an appropriate game to release. Newcomers will find a better game in one like Forsaken World or Edda while old-timers will lament the fact that it’s nothing like current RO, let alone vanilla RO. I found that the main client downloads at a decent speed (700-800 kb) (download the torrent version the normal version has things missing). The patching seems to take a bit though.